Dear Readers, Himachal Pradesh Subordinate Allied Services (HPPSC) has conducted HPPSC Allied Services Prelims Exam on 07 April 2019 at the various Centers in Himachal Pradesh. Exam was conducted for Total 86 Posts of various departments. In this article we are going to provide you the HPPSC Allied Services Prelims Exam Analysis & Answer Key 07 April 2019, Aspirants who will be appearing in the same type of Exam must be eager to know about the Examination's level, types of questions asked, all of which can help them to appear in the upcoming exams. This year HP Allied Exam Prelims was of Moderate Level. Complete Science Section was out of syllabus while current affairs was lesser than mentioned in the syllabus. The written test was conducted in single sessions/papers 10:00 AM to 1:00 PM). Candidates who are going to appear in the test and are checking out the HPPSC HPAS combined competitive prelim test answer key 2019 are advised to follow the link we are giving for the HAS Prelims (Subordinate Allied services). Easy to Moderate, Factual included Current as well. Scoring Section. Surprise Package because number of questions gone up (04) from last year to (30) this year, factual section but moderate section. Make or break section for many aspirants. HPPSC’s Gandhi Prem Increasing with every exam asked 10 questions but most of them were very easy, even these questions get repeated now, My Suggestion to HPPSC : Instead of Only Gandhi ask Questions about All Freedom Fighters, at least everyone will know more about other freedom fighters and their contributions. Gandhi ke Uppar repeated question se Junta bore ho gyi hai. Kuch bhi Chlta hai iss section me. Prediction of Accurate Cut off for this exam is not possible as Number of Posts are more compared to the last year, Nature and level of exam was Moderate. Although Negative Marking will definitely make impact on the cut off this year so Cull off will likely to fall by 10-12 Marks (+/- 5 Marks) in comparison to last year in each category. More Posts than Last year although the number of Posts in Unreserved Section is almost same. Negative marking in Allied Services exam from this year. Negative marking makes a common impression in the minds of aspirants that you don't have to go for everything, and more factual questions restricts to go wildly. Naturally the Number of attempts decreases. 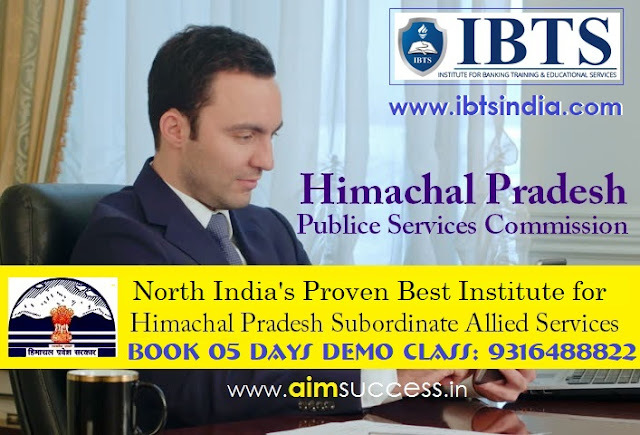 IBTS institute chandigarh has prepared all questions with answers for Himachal Pradesh Public Service Commission (HPPSC) H.P.Subordinate & Allied Services (Prelim) Exam 2019 held on 07/04/2019. Candidates can download the Solved Question Paper from the following link. Himachal Pradesh Public Service Commission(HPPSC) has released Answer Key of the H.P.Subordinate & Allied Services (Prelim) Exam 2019 held on 07/04/2019. Candidates can download the Answer Key from the following link. Thanks & Stay Connected for More updates related to HPPSC Allied Services Prelims Exam 07 April 2019. In the meanwhile You can also Share Your Experiences, Expected marks and questions here in the comments below.